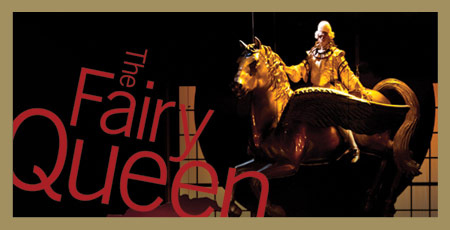 Part play, part song and dance, the centerpiece of the BAM Opera Festival, Henry Purcell's ribald and irreverent semi-opera The Fairy Queen bursts with theatrical magic as a fanciful take on Shakespeare's A Midsummer Night's Dream. Featuring Les Arts Florissants under the brilliant musical direction of William Christie, and directed by the acclaimed British theater and opera director Jonathan Kent, The Fairy Queen unfolds as a riotous bacchanal of nymphs, drunken poets, black-winged fairies, and cloud-bound gods, made luminous throughout by Purcell's breathtaking score. Get a unique, behind-the-scenes look into William Christie's creative process as he offers special audience commentary during a rehearsal of Purcell's semi-opera The Fairy Queen. Enjoy a rare, intimate recital of Purcell songs and duets featuring William Christie on harpsichord and soloists from The Fairy Queen. Followed by a champagne reception.